“Electra” is based on the SmallGEO program developed with the European Space Agency (ESA) and the German Aerospace Center (DLR). The purpose is to develop a modular geostationary satellite platform in the 3 ton class. Customers can select a classic, hybrid or electric propulsion system for the satellite. 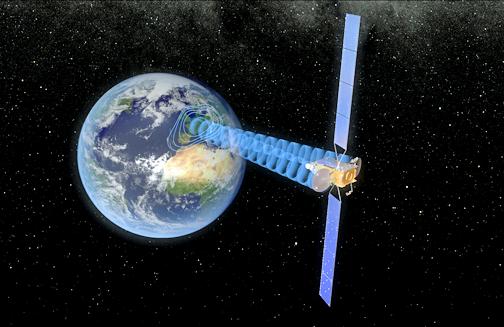 Artistic rendition of the SmallGEO “Electra” configuration in space. Image is courtesy of OHB System AG. With the SmallGEO “Electra” configuration, OHB wants to gain a decisive competitive edge in the commercially attractive telecommunications sector. In view of the enormous weight-saving potential as less fuel has to be carried on board, the payload capacity, i.e., the payload mass and electric power available to the customer for its application on the satellite, will be twice as large in the case of the “Electra” satellite. Similarly, the service life of the satellite and the ability to maneuver it to another orbital position can also be enhanced. Moreover, this configuration offers a broad range of compatible carrier and orbit injection systems (SubGTO, GTO, SSTO). 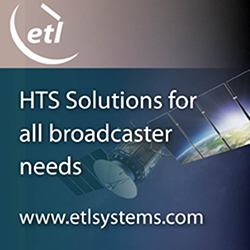 OHB System AG is developing “Electra” in a public-private partnership with ESA and the satellite operator SES under the ESA’s ARTES (Advanced Research in Telecommunications Systems) program. The satellite also complies with ESA’s clean space policy. OHB Sweden is performing a large volume of internal development work on a cost-efficient mechanical propellant control system and a tri-axial mechanism (Thor Boom) to reduce the electric propulsion thrusters required. At the same time, it has been able to assemble a high-caliber team of European partners. The xenon tank with a capacity of 440 liters will be sourced from MT Aerospace AG in Augsburg, Germany, which is also an OHB SE company. Thales Belgium will be supplying the high-performance electronics, while the 5kW thruster will come from SNECMA/SAFRAN, France. Various mechanical and thermal elements required for the tri-axial mechanism are being provided by RUAG Austria. European partnerships such as these are of crucial importance for projects in key strategic markets of the future such as telecommunications satellites.